All car owners (well, those without buckets of extra cash to spend on additional maintenance) live in a pretty much constant state of worry that a surprise problem will leave them not only as car-less commuters, but flat-broke ones at that. Now, we’re not suggesting that your New Year’s resolution should be to transform yourself into an amateur mechanic just to keep costs down, but learning the basics of car care and doing a regular set of checks will help to prevent wear and tear that could turn into big, expensive issues if left unchecked. We should all try to look after our cars a little better in 2017, so here are a few easy checks to put on your schedule to keep your baby running smooth. Oil. It’s the lifeblood of your engine, and should be treated as such. Regularly checking and, if need be, changing your vehicle’s oil will reward you with a more efficiently running engine (better fuel economy) and increase the lifespan of your car. Taking a few minutes every couple of weeks to check the oil can help prevent engine wear and tear, avoiding the need for larger and more expensive reparative work later on. There are two things to look out for: the level of the oil, and its appearance. The oil level should be maintained at the “full” mark on your dipstick. If it doesn’t, ask a petrol attendant to add some the next time you stop to fill up. The appearance of your oil will also be a good indicator of whether an oil change is needed or not. Tell-tale signs include an extremely dark colour or thick viscous texture. If you suspect you may need an oil change, contact a mechanic to double check and let them perform the procedure for you as soon as possible. Rubber. 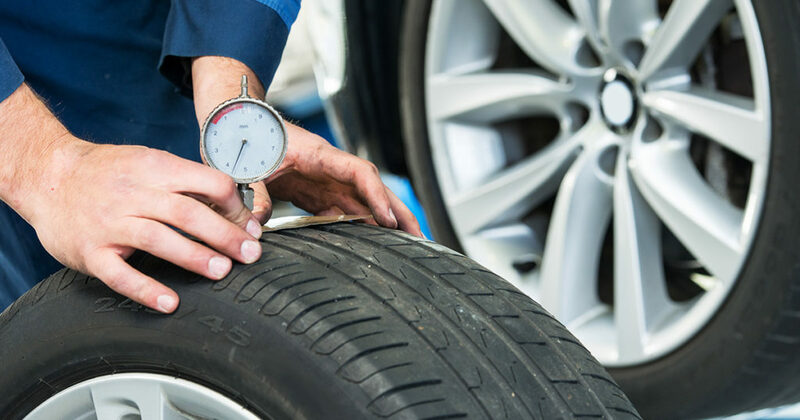 As your only point of contact with the road while driving, neglecting the health of your tyres can affect not only driving performance, but your personal safety, too. Check the depth of your tread regularly (it should be an absolute minimum of 1mm), and rotate your tyres to make sure they wear evenly. Also, be sure to look out for any unusual cracking around the tyre walls, which are an indication of lost elasticity in the rubber, which could eventually cause a blowout. Brakes. You depend on your brakes to prevent accidents, so never take them for granted. Most people wait for that awful screeching sound to begin before thinking of their brakes’ wellbeing, but if you don’t want to have to replace both the brake pads and the discs as well (an expensive prospect, to say the least), it pays to have them checked regularly by a pro. Lights. It seems obvious, but you’d be surprised just how many people couldn’t tell you for certain that all of their lights and indicators are working properly. Good lighting is one of the most important factors in avoiding collisions in dark, rainy and misty conditions, so take the time to check them properly. Ensure all bulbs are in working order, and be on the lookout for cracks on the lenses themselves. Indicators, brake lights and reverse lights are critical to letting other road users know what you’re about to do – thus preventing accidents. Water. Overheating is one of the leading causes of breakdowns, and can lead to some serious engine issues in the long run. Keeping your water topped up helps to keep your engine cool, run more efficiently, and avoid the engine damage associated with the extremely hot temperatures that driving can generate. Don’t forget to top up the water in your windscreen wiper system as well – a dirty or foggy windscreen is a danger to driving safety, no matter what the outside conditions are like. Owning a car is a give-and-take relationship. Do your part to keep yours healthy, and it will reward you in reliability, affordability and a long lifespan. These checks are by no means a substitute for regularly scheduled maintenance, but they’ll help prevent your professional services from costing you an arm and a leg due to negligence.